Hi again.... this is my second post today! Well.... its day 3 already of the 'Critters and Cogs' week!! Have you joined in the Challenge yet?? There are 3 prizes to be won!! And some bloggers have really caught my eye!! 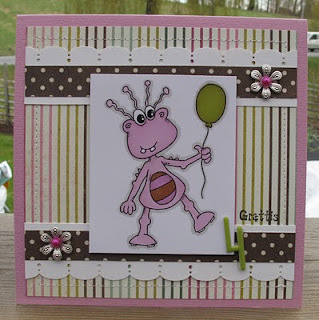 I just love Annikas Fresh and Funky Style... her cards are always BRILLIANT, without being too fussy! She's got an eye for colour, and always chooses fabulous paper mixes... I love the die cut lettering! And YES... she LOVES Pink, Green and Brown...lol! Aren't they all fab??? so clean and fresh!! Thanks Annika for creating these beauties!! and for letting me show them! I'm sure they have inspired you all!! It seems I really like pink, brown and green. 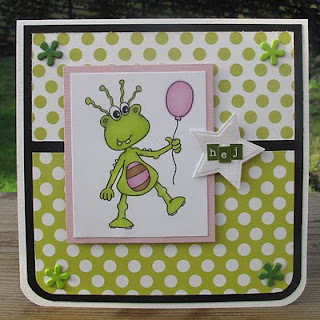 But today I did a card for the colour your critter challenge and I chose turquoise and yellow which are my favourites right now. You can se it in my blog. 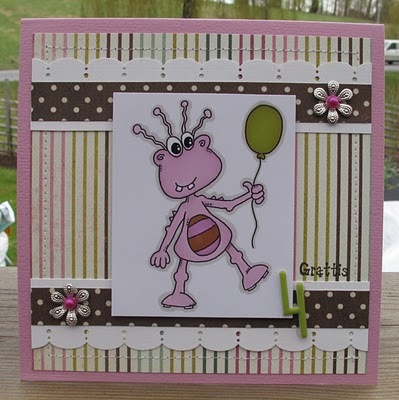 Wowzaaa, gorgeous little monsters in fab colors! Love the cards! Way to go Annika!!! These are adorable! Love them all. So cute. 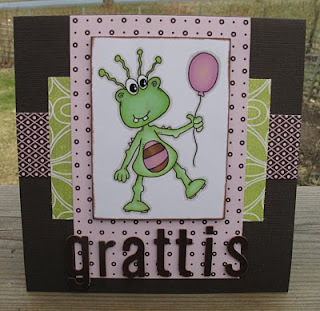 I have always loved Annikas cards! Nice to see her creations in here! !